Now that analog televisions have gone the way of the Buffalo, the fight is on between the Plasma, LCD, LED and DLP formats. Although Plasma televisions took an early lead, they seem to have fallen by the wayside as the crisp images of the ultra thin LCD and LED models have all of the sharpness with none of the buzzing or size of a traditional plasma screen. DLP was once only available in the form of front projectors, but has recently added gigantic rear projection models that offer stunning 3D and all of the clarity of the big screen. In this guide to HD television reviews, we are going to give you size options to fit every room, and price options to fit every budget. Feel free to chime in with your opinion after taking in all we have to offer here. We'd love to know which model you chose, and how satisfied you are with it. Even though the plasma screen is slowly fading away, there are still several models available for purchase – and at great prices to boot. With the price point of these vibrant display units coming down into a manageable range, they are the perfect addition to a home theater. Equipped with ultra fast refresh rates and some of the deepest, truest blacks that are available in any television, these bad boys were designed to accentuate the dynamic sets of richly decorated movie sets which movie buffs will be sure to appreciate. LEDs used to be the black sheep of the HDTV industry. They just didn't offer the pop that LCD and plasma screens did. The pictures seemed lackluster at best. That has recently changed as the budget minded VIZIO team has introduced a line of LEDs that are every bit as crisp and bright as most LCDs out on the market currently. In addition, these LED TVs are more efficient than their LCD competitors. As a bit of a bonus, we have thrown in a look at the possible future of HDTV – the OLED. The one reviewed is tiny, but it is a sign of big things to come. With a reasonable price tag and a crisp, clean look, LCD televisions have become the current darlings of the HDTV industry. Their light weight and almost non-existent footprint allow them to be hung on a wall as easily as a painting. 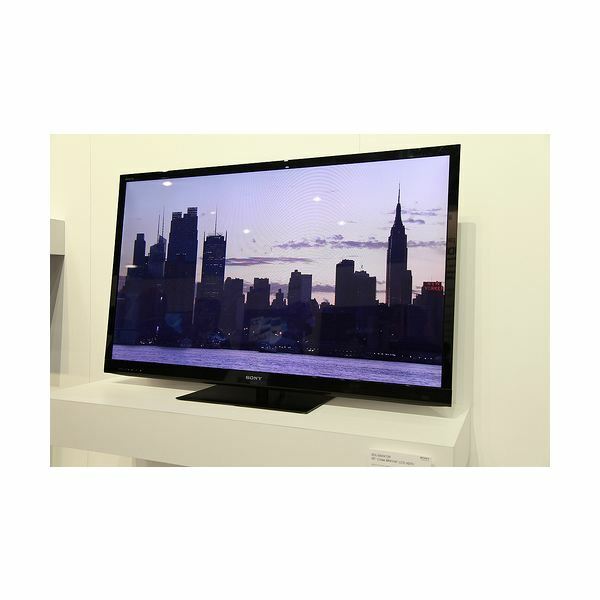 Even though the LEDs are making headway, the LCD television is still a mainstay and will be for years to come. Here we look at several potential great buys and arrange them by size. 3D is the hottest thing in HDTV right now. If you are looking to get the full 3D experience, don't settle for the first set you see (it will blow you away no matter which one it is). Take some time and carefully consider which of these models will fit your needs – not only today, but for years to come. An investment like this should stand center stage as the crowning jewel of an awesome home theater system. Currently, there aren't too many DLP televisions in the marketplace. Most units are still reserved for front projectors, but there are a few DLPs worth mentioning. These sets claim the same high quality picture as you see in movie theaters by using the same mirror based technology. The picture on these sets is truly amazing, and once you see one in person you'll be hooked. Who Makes the Best DLP HDTV? I hope these HD television reviews have helped you pick out the next center of your home media center. If they have, drop us a line. Or, if you think we are missing something, let us know. Image courtesy of ETC@USC on FlickR under Creative Commons License 2.0.